Two decades success – we celebrate! We give advise on sit. 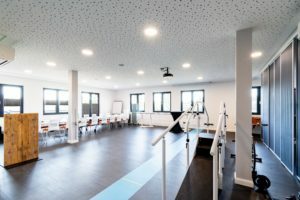 The medical supply store Scharpenberg is a dynamic and innovative company and it is our aim to contribute to the mobilization – and thereby to the quality of live – of handicapped people. Our success in the last 20 years shows us that our concept is the right one. We proudly can say that our team composed of 50 accomplished qualified personnel, giving the best in Rostock, Stralsund, Pritzwalk, Hagenow, Perleberg, Demmin and Wolgast. For the best patient-centered care, we work together with doctors and health insurance funds. 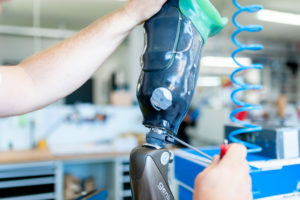 We provide individual solutions – in our factories for prosthetic, orthotic, bandages, we produc your aids. 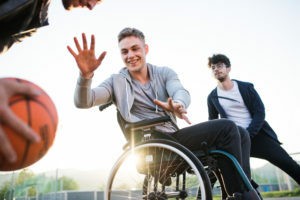 We offer different products from the rehab devision to help you to enjoy your life. Our colleaques advise you in all divisions personal and individual. With the most modern technology we provide walk analysis for aid, protheses and orthosis user. As a certificated and experienced company we are the right contact person, if it’s about supplies for childs. Here you can find all news and information about upcoming events.